Can a director’s past make a decent Hollywood picture? James Whale, director of hit horror films The Bride of Frankenstein and The Invisible Man, revisits his past as he draws a portrait of his gardener, Clayton Boone. During this time he deals with his current position as a forgotten Hollywood big timer as Boone deals with a friendship he never expected to have. 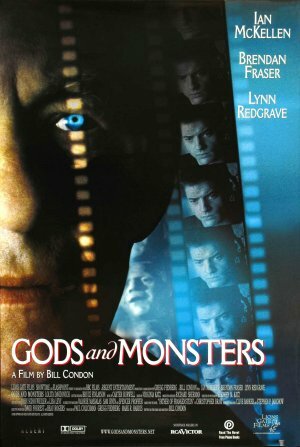 Gods and Monsters, directed by Bill Condon, successfully introduces Whale’s film work as the core of the movie, dropping mentions of Frankenstein, Frankenstein’s Bride and The Invisible Man into conversation with ease as well as showing footage from one of the film’s themselves. Whale is portrayed curiously as a man with demons, and a man who is brave (and reckless) enough to show himself as a homosexual amid Hollywood peers who appear to be hidden for safety. 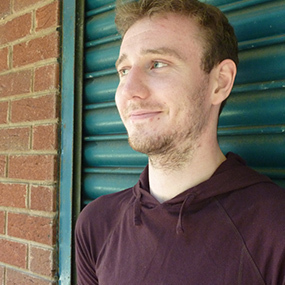 He’s shown as a brilliant and charismatic man, and towards the end of his life Condon creates empathy for him, despite some of his more selfish and confrontational decisions. Ian McKellen is well cast as James Whale, a liberal elderly man who is outwardly troubled by his past. His remarks on his history with many young men creates a great tension and unease between him and Boone, played by Brendan Fraser, and its these moments, especially when McKellen shows Whale as a fiery and then frustrated individual, that the film reaches its most touching moments. Flashbacks are shown to add more weight to Boone’s childhood with a harsh father, his love affair during the Great War, and his Hollywood days. This enables McKellen to make these moments relevant through his expressions rather than through dialogue and work as a fascinating escape away from a reasonably stagnant situation of two men talking for the film’s duration. Visualisations of both Whale’s and Boone’s dreams are also explored and often use the horror style of Whale’s films to convey a surreal message, like Whale’s dreaming that Boone puts Whale’s brain back in his head before using a complicated electrical machine to get him working again. This stylistic choice is great at not only adding more to their characters thoughts but also to give the viewer more of a flavour for Whale’s film work. Gods and Monsters isn’t quite a fully fledged biopic, but rather a small scale drama about two men dealing with their past and present lives. With clever direction and stellar performances from McKellen and Fraser this is a must see for movie buffs. Did you think McKellen and Fraser rock this intense drama? Let us know in the comments below.